2. Coat a small ovenproof, nonstick skillet with the olive oil and heat the skillet over medium heat and sauté onions for 5 mins. 3. 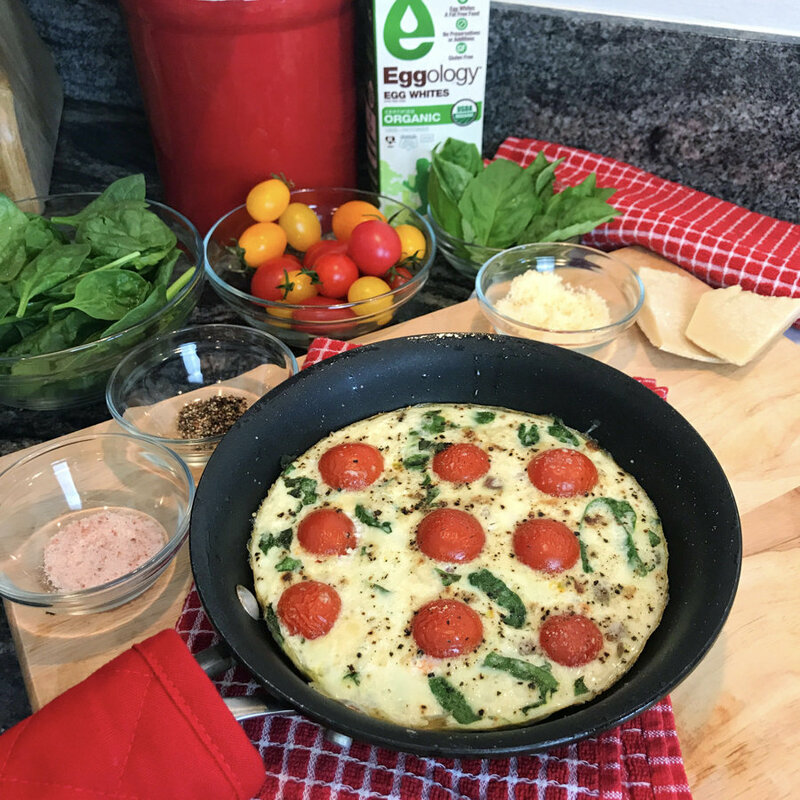 Pour the Eggology Liquid Egg Whites into the skillet, then add tomatoes, basil, spinach, Himalayan salt and pepper and cook for 1 minute, or until the eggs start to set. 5. 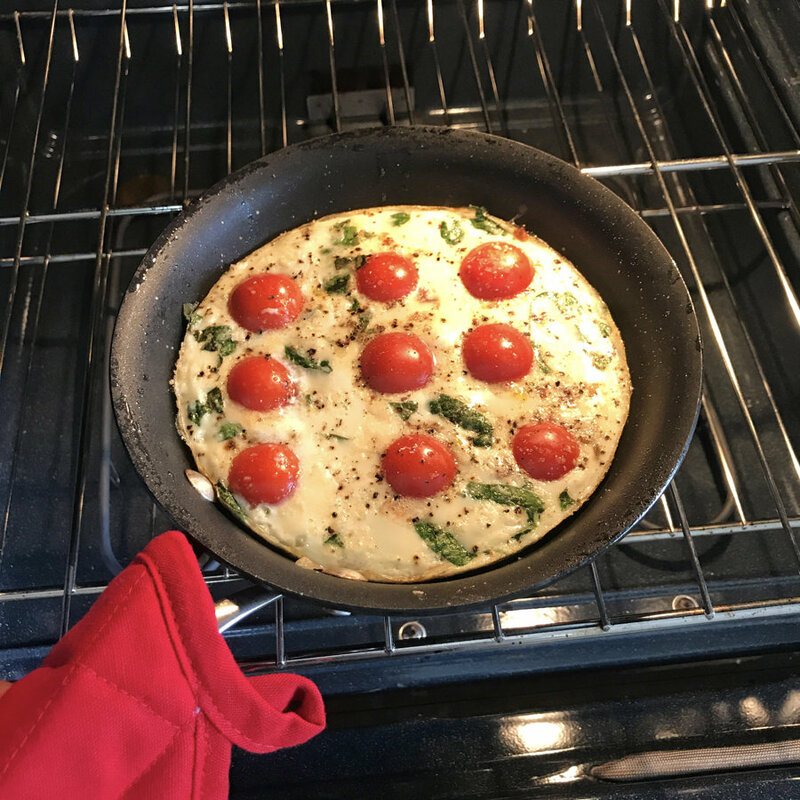 Transfer the skillet to the oven and bake for 5 to 6 minutes, or until the top is golden and puffy.